The Caribbean Islands have long since been the destination of choice for those in search of some winter sun during the cooler months, however known for accommodating the starriest of celebrities many of the Islands more familiar resorts also come with a hefty price tag. Thankfully Sandra Ramani of Jetsetter.com shows there are still a few affordable Caribbean hotels where you can enjoy a relaxing getaway without breaking the bank (even during peak winter season). Here the online travel magazine brings you 10 properties at prices that aim to please. 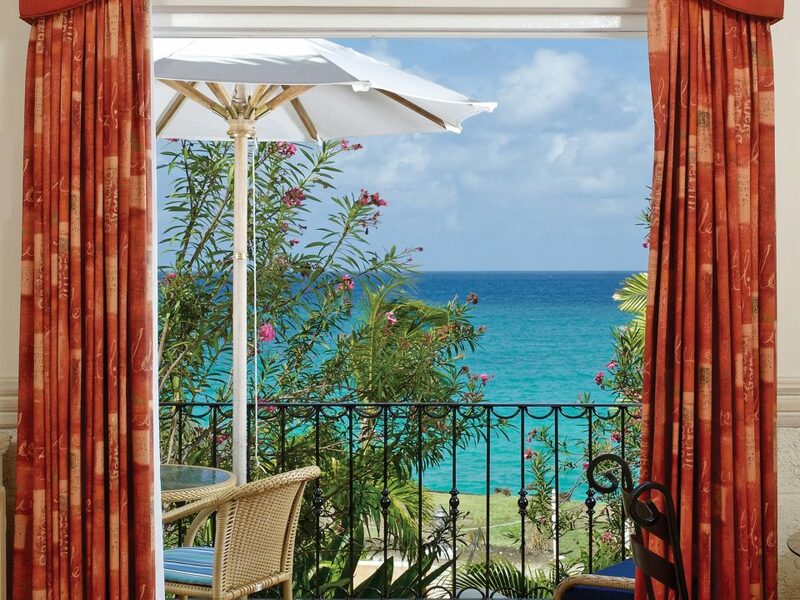 This stylish beachfront hotel is ideally located with the best of St. Maarten within easy walking distance. Drop your stuff of in one of the 54 rooms—each with private balcony, hardwood floors, and tropical-chic décor—then head straight to the water (the hotel offers private loungers and beach service), or stroll St. Maarten's main shopping street Voorstraat, just outside the lobby doors. For dinner, the on-site Ocean Lounge Bar & Restaurant serves a tasty mix of Caribbean and European flavors, as good as any island restaurant. Part of the Dutch Lesser Antilles chain, the tiny island of Saba is a favorite with nature lovers. Hike the rainforest and 2,877-foot peak Mount Scenery volcano, and go scuba diving in the Saba Marine Park (home to dolphins, turtles, and rich coral beds)—it's all easily accessible from the 12-room Hampshire House. The charming property has a pool, restaurant, and bar/lounge, along with-a friendly, knowledgable staff who will give you the ins and outs of the island. Caveat: Saba doesn't have beaches, instead, you'll find plenty of green to explore. Set on Treasure Beach, about a two hour drive from Montego Bay, Jake’s is a family-run hideaway with vintage Jamaican style and a creative, hippie-chic vibe. Designed by artist/poet/set decorator Sally Henzell (whose late husband directed the iconic film “The Harder They Come”), the resort includes rooms, cottages, and villas with refrigerators and iPod docking stations, and private balconies or patios. There's a standout restaurant on site and the buzzy Dougie’s Bar (don’t miss the cold rum punch), along with a top-notch wellness program at the Driftwood Spa. Farm tours, waterfall hikes, and restaurants are just a short drive away, while the hotel’s deep ties to the creative community mean you’ll likely find a movie screening, DJ set, or literary festival happening during your stay. It won’t take long to feel like a local at this 10-room Barbados spot, close to Miami Beach and the South Point Lighthouse. The intimate, individually-decorated rooms (each with fridge, free WiFi and cable, and pillow-top bed) keep things cozy, while excellent on-site dining and spa services round out the perks. Major kudos goes to the staff, who go above and beyond with their on-point service and easy smiles; they’ll even cart a sun lounger and umbrella to the beach to ensure you’re properly settled in the sun. From its perch overlooking downtown's Charlotte Amalie Harbor, this popular resort is just a short boat ride away from the island’s top attractions—though there’s plenty to keep you entertained on property, too. Among the highlights: six on-site restaurants, the Lazule Sea Spa, photo-worthy infinity pools, and activities like sea turtle-spotting, nighttime kayaking, and stand-up paddle boarding. 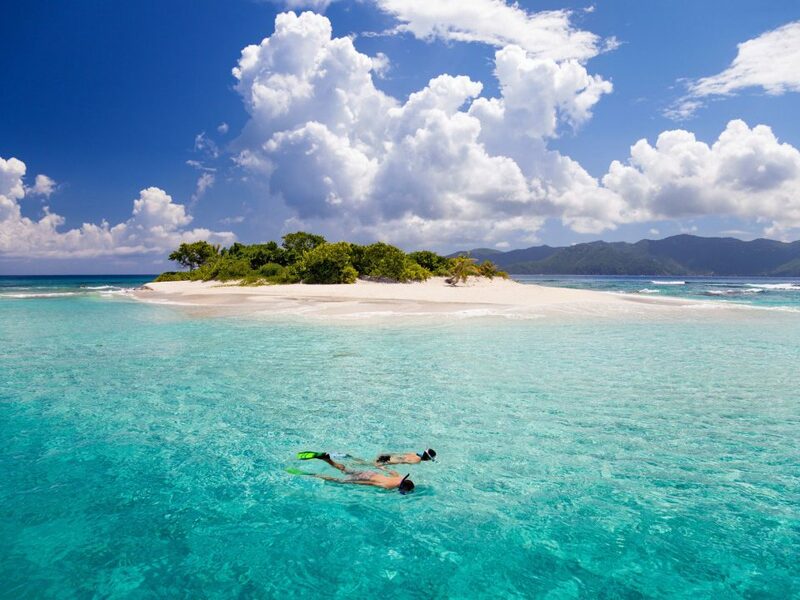 Best of all—the USVI location means no passport is required.